A well thought out website launch plan can help your website be successful from day one. But if you’ve never launched a website before, you might not know how to go about creating such a plan. Fortunately, creating a successful website launch plan isn’t too tricky. Keep reading and you’ll learn exactly what you need to think about when you are launching a website. By the time you reach the end of this post, you’ll know so much about launching websites, others will start asking you for help. Part of having a successful website launch is creating a situation where your website will have an audience from day one. Thus, if you want to have a successful launch, you need to think about who your target audience is. You can then go about taking the steps to make them aware of your impending website launch. If you are struggling to define your target audience, consider creating something known as a customer persona. This is a document that details all the various nuances, about your target audience. It can take a lot of time to create this document. But you should consider this time well-spent. After all, the more detailed your customer persona is, the easier it will be to attract your target audience. One of the most unfortunate things that can happen during a launch, is that you build up anticipation, only to send people to an unappealing website. This kind of scenario creates two key problems. For one, it stops people from coming back to your site. That’s because people don’t want to come back to a site that is hard to use or doesn’t fulfill a specific need. It also stops people from sharing your site and telling other people about it. If people do mention your site, they will do so in a negative context. Meaning they will share your site just to tell others how bad it is. One of the best things you can do is to ensure your website has a well-thought-out sitemap. You need to create a sitemap that makes it easy for people to navigate your website. If your sitemap is clunky, your website will provide people with a frustrating experience. You also need to ask people to use your website, before you make it public. Think about asking people to navigate your site and find certain pieces of information. Ask these people for feedback. In using their feedback, you will be able to fix any sticking points that might affect people when your website is released to the masses. You also want to make sure your website is going to work on mobile devices. A lot of people access the internet using their phone or tablet. You need to make sure these people have a good experience. If you don’t you are excluding a large number of people, who might be able to benefit, as a result of using your site. If you need help with this, consider speaking to a web developer. They will be able to adjust your site so that it looks good on both a desktop and mobile browser. One of the best ways to drive a lot of traffic to your website on launch day is by building a list ahead of time. There are two ways you can go about building a list. The first is to leverage the audiences of people who share the same target audience as you. One way you can do this is through guest posting. An effective guest post will highlight the fact that you are someone worth paying attention to. In the author’s box of your guest post, you can mention that you are going to be launching a website soon. You can place a link to a landing page so that people can join the notification list. Then when your website goes ‘live’ you can email these people to let them know. The other option is to build your list using paid traffic. You can do this using a platform like Facebook Ads. If you want to succeed with Facebook Ads, you need to make sure your ads are precisely targeted. Thankfully, this isn’t too hard to do if you have taken the time to create a customer persona. You can just use the information in your persona when adjusting your ad targeting settings. Getting people to sign up to your list is going to be hard. You can’t just tell people that your website is going to be awesome. Rather you might want to consider offering people something if they provide their email address. What you offer is going to depend on the niche you are in. For most industries, offering a piece of content that helps the target market solve a problem, tends to work well. If you are going to take this approach make sure problem is something people desperately want to solve. This will improve the chances that people sign up to your list when they reach your landing page. Will You Have a Successful Website? Mastering the launch of your site is one of the best ways to ensure you have a successful website on your hands. 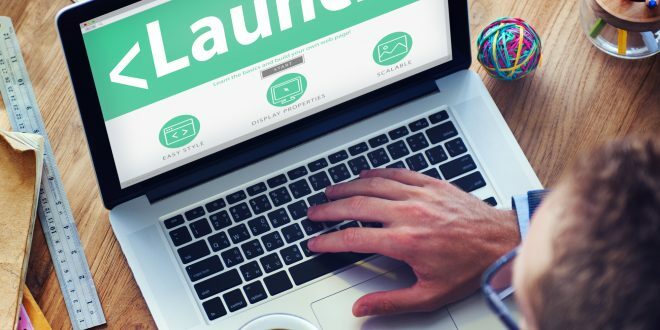 In this post, we’ve taken a look at some of the things you need to keep in mind when launching a website. You need to think about who your target audience is. You should also think about making your website easy to use in all manner of devices. If you want an audience as soon as you launch your site, consider building a list. In doing so, you will be able to drive a significant, relevant audience to your site as soon as it goes live. Want to learn more about creating a successful site? Check out our tutorials section to see some of our latest tips.